When you need drain cleaning in Aptos, CA, we understand that you need it now. You can’t wait around for several days and avoid using your sink, toilet, tub, or shower. That’s why we try to get to you as soon as possible, at a time that’s convenient for you. In fact, we even have emergency services, in case you need a drain cleaned in the middle of the night, on a weekend, or over a holiday. No matter the type of drain that you need cleaned, we can get the job done. 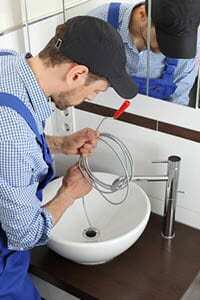 Our experts plumbers in Aptos CA are happy to help with any drain problems. Generally, the problem is localized if the clog is localized. If only one drain is clogged up, the problem is most likely in the pipes that pertain to that specific drain. We’ll locate the clog and use the tools that come on each of our plumbing trucks to get it cleared for you quickly. If you have several clogs in one room, like your tub, toilet, and shower are all clogged, then the clog is most likely located in the plumbing that connects that room to the larger plumbing pipes in your house. We may have to remove part of your wall or ceiling, but we will get to the clog and fix it. When most of the drains in your home back up at once, you may need a sewer drain cleaning in Aptos, CA. We’ll get that done for you, too!